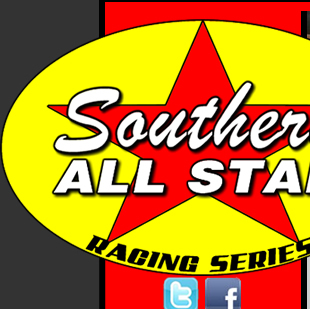 RACE RECAP:SYLVANIA, GA--The Southern All Star Dirt Racing Series presented by Max Fab made stops 12 & 13 this past weekend returned to the Screven Motor Speedway for the first time since 2008 as the 19th Annual Rebel Yell was on the line and Brandon Overton of Appleton, GA., garnered his second career Southern All Star win as he held off a late race battle with Casey Roberts to get the win and the $10,000 paycheck. Roberts came home in the second spot with Chris Ferguson third, Shannon Buckingham fourth and Brent Dixon fifth. Finishing in sixth place was Zach Mitchell, Jeff Smith in seventh, eighth to Dennis Franklin, ninth Brain Conner and tenth to Johnny Pursley. Track owner James “Redd” Griffin upped the top price from $7,500 to $10,000 after the World 100 got rained out and it did attract a few drivers down t south Georgia, Overton, Ferguson Buckingham, and Steven Roberts. 27 cars entered the even and the decision was made to start all 27 as drivers that made their first trip to the facility like the track and hoped that the series would come back. Results Pending Tire Test: 1.Brandon Overton; 2.Casey Roberts; 3.Chris Ferguson; 4.Shannon Buckingham; 5.Brent Dixon; 6.Zach Mitchell; 7.Jeff Smith; 8.Dennis Franklin; 9.Brian Conner; 10.Johnny Pursley; 11.Eric Hickerson; 12.Austin Horton; 13.Tristan Sealy; 14.Jay Scott; 15.Cla Knight; 16.Ray McElhiney; 17.Mark Dodson; 18.Scott Shirey; 19.Ray Cook; 20.Kenny Collins; 21.Steven Roberts; 22.Kyle Hardy; 23.Dewayne Kiefer; 24.Casey Truman; 25.Joseph Faulkner; 26.Casey Barrow; 27.Bob Robertson.